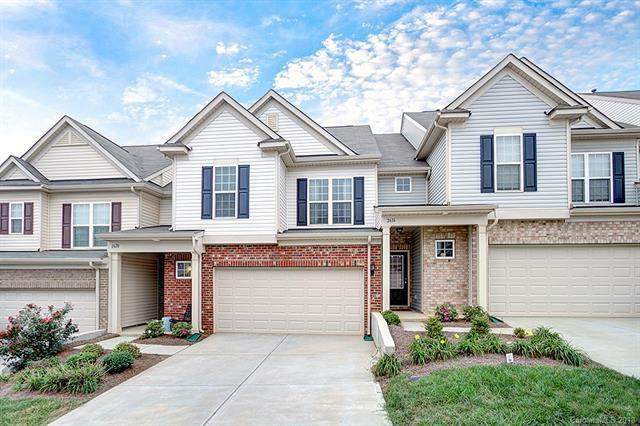 Stunning townhome with beautiful upgrades throughout. Main level boasts gorgeous floors, white kitchen with granite, gas stove, and walk-in pantry. Beautiful bright, open floor plan with expansive great room, breakfast room with crown moldings, picture frame molding, and chair rail. Master suite offers tray ceiling with moldings and enormous walk-in closet with custom upgraded shelving. Master bath includes walk-in shower, garden tub, separate water closet and linen closet. This home offers storage galore! Large laundry room provides plenty of space and storage. Secondary bath features tile floor and large vanity. Community offers beautiful pool, clubhouse, exercise facility, and playground. Gated community convenient to South Park, Montford, Park Road Shopping Center, etc. Location, location, location! Lower taxes with Brownfield Program. Water/Sewer services by Aqua. Incredible price point for amazing location and phenomenal upgrades. This home is immaculate!